This so makes you want to go for a camping holiday there — Not! That is one satisfied snake. 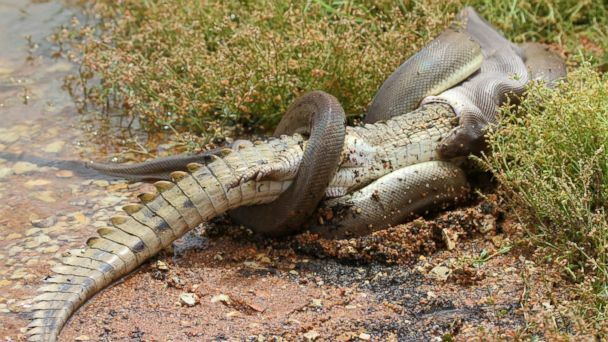 Photographers in Queensland, Australia, captured a snake battling a crocodile over the span of five hours, climaxing with the snake swallowing the crocodile whole. The fight happened on the shore of Lake Moondarra, a popular place for Queensland residents to go swimming – though Corlis said she plans to send someone else in first before stepping foot in the water in the future. 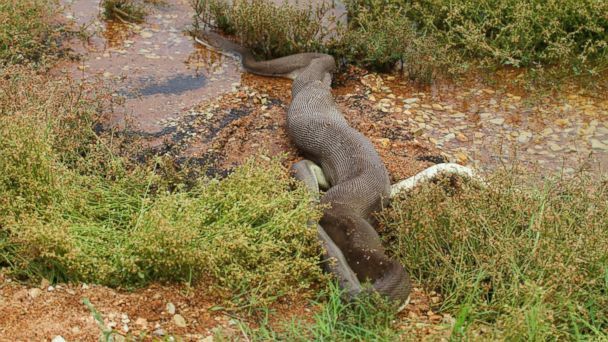 The outline of the crocodile seen inside the python at Lake Moondarra near Mount Isa on March 2, 2014 in Queensland, Australia. 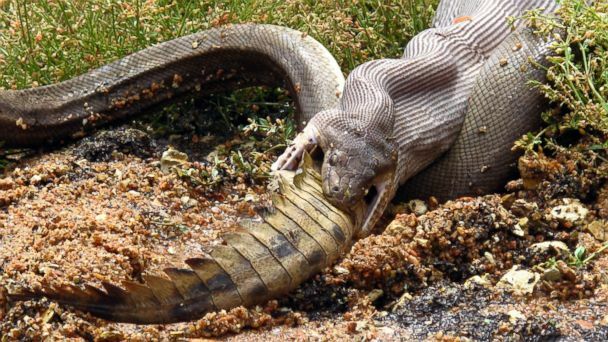 A snake fought, wrestled and then ate a crocodile whole following a dramatic five-hour long battle.